The Doxis4 Digital Workspace is the workspace of the future. Every item of information is just one click away – ready to be used anywhere and anytime, consistent, reliable and safe. 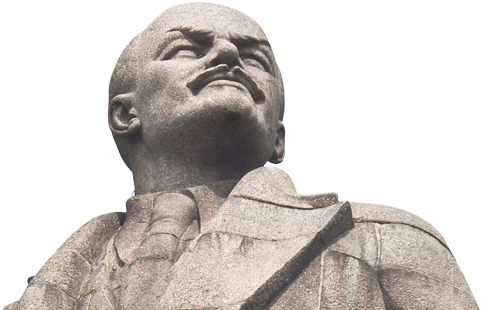 With the Doxis4 Digital Workspace, information can be captured, collected, structured, archived, found and shared. No matter where and when you work and which apps you use. The Doxis4 Digital Workspace brings people together better than any other software. It encourages knowledge-based collaboration. From simple to-do lists to regulated business processes, with Doxis4 users can easily create, modify, manage, synchronize and monitor tasks and process instances. Information is linked to tasks, process instances and apps. This way, more knowledge is integrated into processes – and at a faster rate. 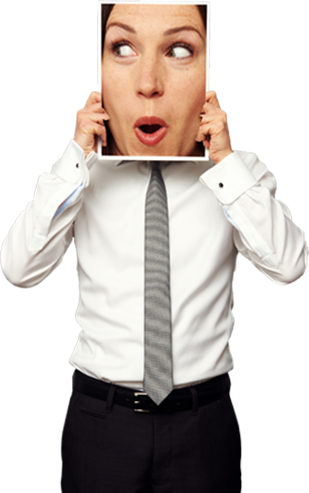 The way you use information and apply it to business processes becomes transparent and compliant. In other words, the Doxis4 Digital Workspace generates the decisive ROI of our time: the return on information. From teams and departments to the entire company and partners, Doxis4 connects the entire value chain. 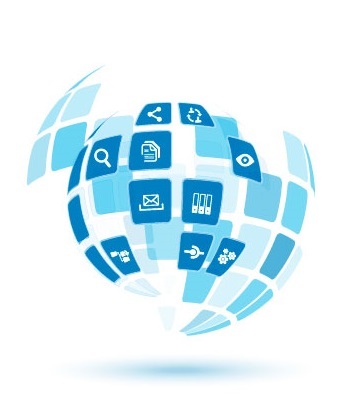 The Doxis4 Digital Workspace connects workplaces and languages of all countries. People work in their own language with Doxis4 across organizational units and geographic borders. 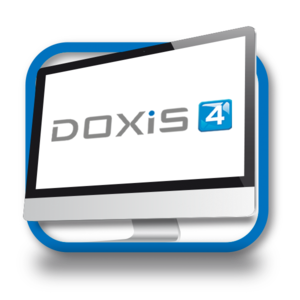 The Doxis4 Digital Workspace encompasses all apps of the Doxis4 enterprise content management suite. It integrates other apps and is itself easy to integrate. The technological possibilities are based on the unique Doxis4 technology that, according to Gartner, is among the 20 best ECM technologies worldwide. The high performance of the Doxis4 iECM suite has been proven time and again in over 2,000 projects with more than 1 million users. The Doxis4 Digital Workspace is inspired by the dynamically changing working world. It is the response to a series of trends like the digital transformation of business models, the attainment of digital information literacy, and the processing and utilization of high volumes of information. 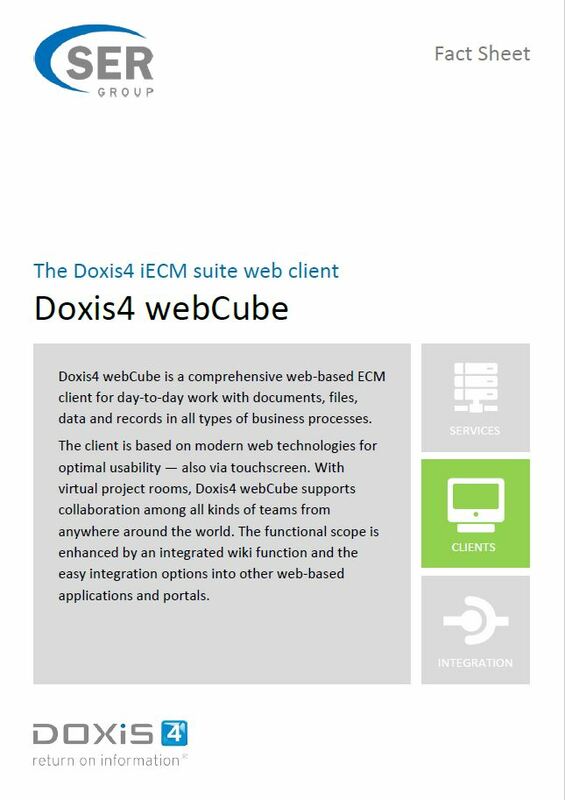 The Doxis4 iECM Suite's modular structure combines capturing, archiving, document management (DMS), eRecords, collaboration functions, task and business process management (workflow) and knowledge management on a single, standardised, service-oriented enterprise content management platform. Doxis4 enables employees from all sites across the entire company to capture, manage, process, control, archive (in an audit-proof manner) and re-publish all information at any time, no matter what source or format it uses. Doxis4 solves all the challenges posed by vertical document-based information systems by providing access to all functions and information without redundancy. For more intensive integration, an open API architecture enables Doxis4 to be integrated into all business applications (ERP, CRM, HR, etc.). Find out more about Doxis4 technology here with information on its agile architecture, ergonomic clients for users and administrators, and the software suite's key certificates. 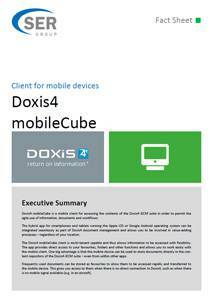 With Doxis4 winCube (for Windows), Doxis4 webCube (web-based) and Doxis4 mobileCube (for smartphones & tablets), we have created a powerful and flexible client family for the Doxis4 iECM Suite. 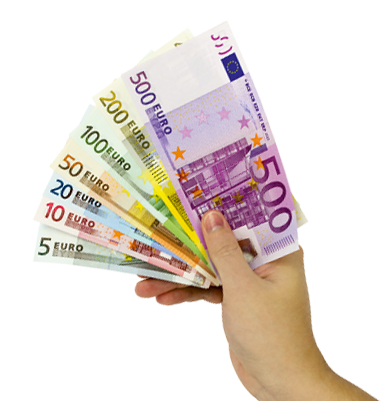 This enables you to use the solution in a number of different areas and locations. 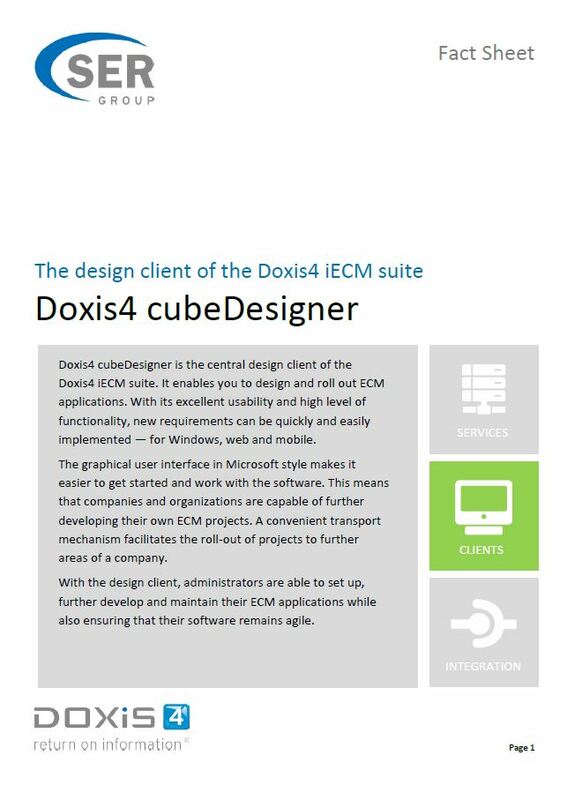 Doxis4 iECM Suite's powerful ECM infrastructure and central Doxis4 Content Repository provide a basic platform for working with documents, records, process instances and work items. 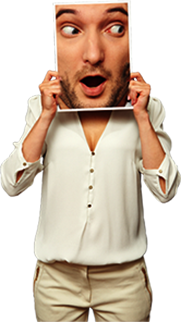 The clients developed for Windows, the Internet and mobile devices can all be used at the same time in one solution. This means that all employees and contractors are always working with the latest version of information and can access it from their PC, laptop, tablet or smartphone, depending on what they need at the time. In the Doxis4 iECM Suite, administrative functions are split between technical and specialized administration due to the range of different objectives, requirements and tasks involved in each of the areas. System administration (Doxis4 Admin) focuses on the technical implementation, administration and operation of the Doxis4 iECM Suite while specialized administration (Doxis4 cubeDesigner) sets up, enhances and maintains specialist ECM applications. 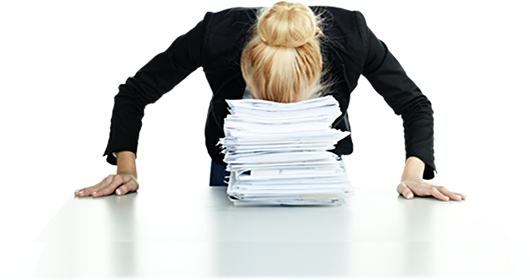 Separating these functions enables companies to split administration according to specialist resources and their expertise. 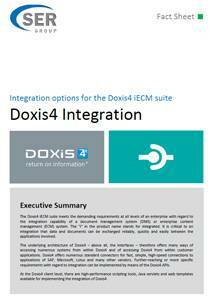 The Doxis4 iECM Suite has received several important certificates, highlighting its suitability and key properties. One of the most important certificates is awarded by the esteemed auditing company Deloitte & Touche, who have accredited the Doxis4 iECM Suite in accordance with IDW PS 880 (German Auditing Standards). Doxis4 has been confirmed as “Ready for eInvoicing” by the auditing company Ebner Stolz. SER understands the importance of having certain interfaces recertified on a regular basis, for example SAP interfaces. Having achieved the status of Microsoft Gold Partner, SER possesses proven expertise and knowledge when it comes to the latest Microsoft products, in particular in relation to integrating Doxis4 into Microsoft products. SER gained the highest Microsoft partner status all the way back in 2007 and continues to benefit from receiving information about the latest Microsoft products at an early stage.